But gluten free doesn’t have to mean comfort-food free, or treat free; just look at all the options and baking alternatives which mean we can still have our cake and eat it too – just gluten free cake that is. And so, just because we’re living a gluten-free lifestyle, doesn’t mean we have to miss out on the beloved, comforting pizza… what would life be like without being able to sit down and enjoy a thin (or thick), crispy, crunchy pizza that you can fold all up on itself? 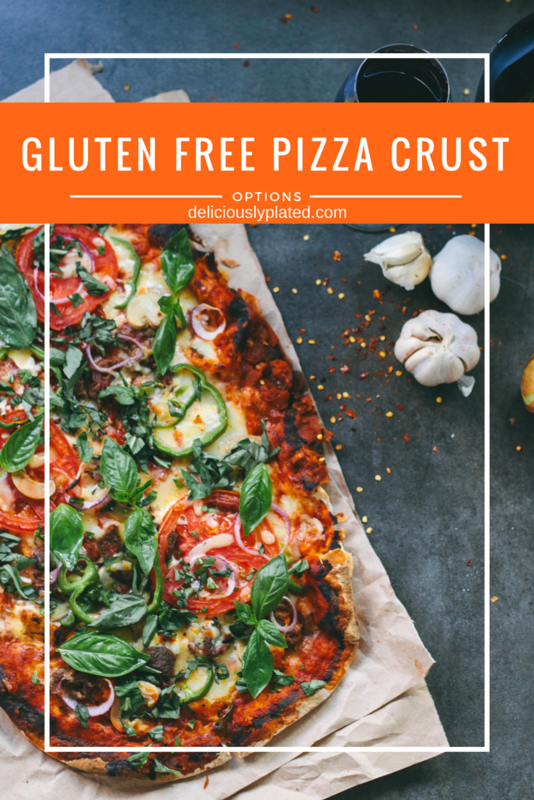 To me, gluten free is just synonymous with “get creative” and I mean sure, maybe we can’t just get the stock-standard margarita pizza from our local pizza shop down the road, but more and more restaurants and takeaways are putting gluten free options on their menu and so if we’re lucky enough this includes a gluten free pizza base option too. Supermarkets are stocking a growing range of gluten free products and things have certainly come a long way from what in the beginning were some pretty dire offerings. If you’re pushed for time or looking for a gluten free pizza base option that is super quick and easy, then a pre-prepared , just throw your toppings on and chuck in the oven option is easily bought now at most major or specialty supermarkets. For those that do have the time or who are looking to perhaps release some of that stress through the rolling pin, step up to the plate and try your hand at making your own gluten free pizza crust at home. Whether this is using with a store bought gluten free flour mix, or you’re into making your own mix from scratch, it’s all so much more possible that it was 10 years ago because of the range of ingredients we now have access to (could you even buy xanthan gum back then without having a chemistry degree?). 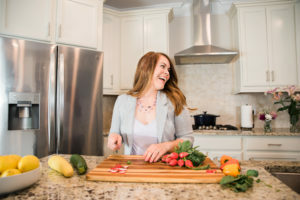 There are a multitude of flour alternatives and substitutes which you can use to make your next Friday night pizza night a gluten free affair (see further below in this article). However maybe you just want to try and keep it as close to a gluten-full pizza base as possible. If so, here’s a great gluten free pizza recipe from America’s Test Kitchen (ATK), and you can rely on the fact that these guys are tested A LOT of recipes. This one calls for using their own ATK All-Purpose Gluten Free Flour Blend, however if you don’t have access to this flour or can’t find it in your local supermarket, this recipe from the Minimalist Bakers helps you to make your own fail-safe gluten free flour mix at home, creating crispy on the outside and soft in the middle gluten free pizza crust results. Rest it for the best result – Make sure you’re not skipping the rest period and that you’re giving your dough enough time to rest. An adequate resting time is needed even more so than when using a standard flour as all the starchy ingredients in your mix need time to absorb the moisture from the wet ingredients. Giving your dough time to rest and ferment is the best way of ensuring that your end result is as crispy and crunchy as the real deal. Keep it thin, oil it up, and bake twice – Most gluten free pizza dough recipes are going to be more thin than they are thick – hold back on the temptation to build up the base or edges trying to mimic a deep dish pizza style as your dough won’t cook through. Instead, keep it thin like a pancake, generously oil your baking tray, sheet, or pie pans, and par-bake both sides of your pizza base on pie plates before adding your toppings and returning to fully bake. Looking to get some more vegetables in you or your family’s meals? Using vegetables as the base for these gluten free pizza crusts means you’re upping the vegetable content and at the same time skipping the gluten. They’re also a great option if you’re looking for a vegan pizza crust option. Butternut squash pizza crust – This recipe combines butternut squash puree with coconut flour brown rice flour, extra virgin olive oil, baking powder and spices to make a gluten free and dairy free pizza crust – just make sure the baking powder you’re using is gluten free as well because some standard off-the-supermarket-shelf ones aren’t. Making the pizza base ingredients into a dough, this recipe saves you time as it doesn’t call for pre-baking, you just bake once for 20-25 minutes with all the toppings, making it a quick and easy option. Sweet potato socca crust – Socca, for those of you who don’t know what this is (it’s okay, I had to Google it too), is popular street food in Nice, France, which actually originates in Italy (so it’s okay, we’re still in the right country to keep it as close to pizza as possible). It’s basically a large, flat, thin pancake which is traditionally cooked in wood ovens or on top of copper disks. Also known as farinata, torta di ceci, or cecina, its main ingredients are chickpea flour, water, and olive oil, making it a great option for if you’re looking for a vegan or diary free pizza base option as well. Cauliflower pizza crust – Taking the cauliflower craze that seems to have swept through the world and using it for a gluten free pizza base, sounds good to me. This recipe uses yogurt and egg to stick the grated cauliflower crust together, so if you did want to make this vegan as well then consider an alternative to these. Zucchini gluten free pizza crust – With this gluten free pizza crust, you can actually fold a slice over itself just like a real-deal New York slice… Mmmmm. This is thanks to the addition of tapioca starch and mozzarella cheese which both add an element of elasticity to the dough. I have tried a cauliflower crust and quite enjoyed it, but never a sweet potato one – I see that I would need chickpea flour – I am sure this makes the pizza crust taste amazing! Thanks for the info! Oh wow, as someone who has recently switched to a gluten free diet for health reasons, I am so grateful for this post! I’m a HUGE pizza lover and this makes me so happy to see I won’t have to give my favorite food up! Actually, I think it will make it even more exciting looking at the variety of crusts one can make! Pizza nights are always a hit in our house!!! My daughter and husband are the pickiest eaters of all times, but they love their pizza, so pizza nights happen a lot!